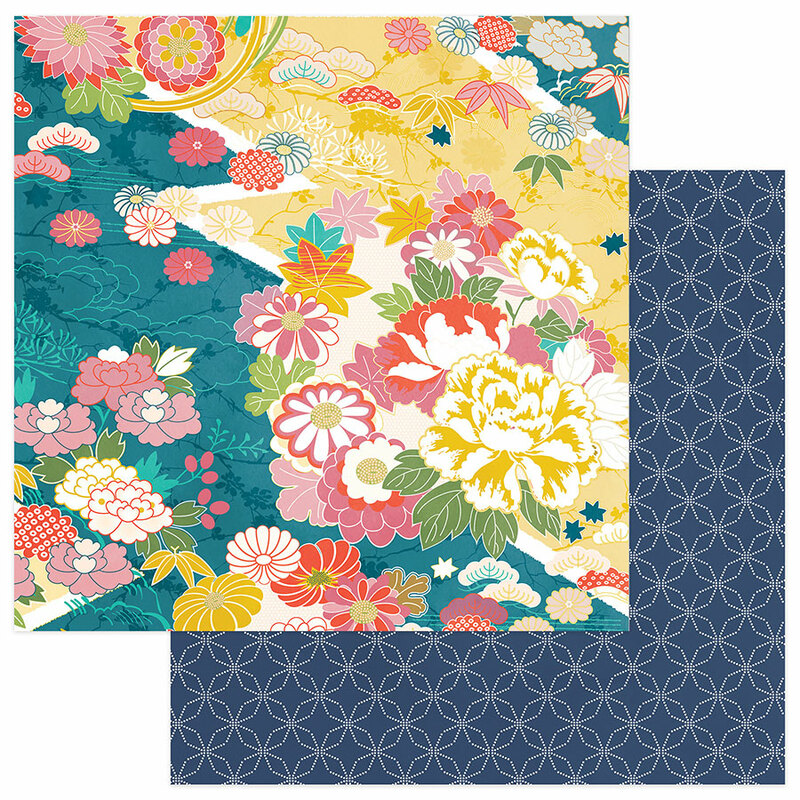 This 12x12 double sided paper has Beautiful Bold Flowers (perfect for fussy cutting) on the frontside while the reverse side has a Stitched Pattern on Dark Denim Blue. Look for coordinating Photopolymer Stamp Set, Designer Etched Dies, Sticker Sheet, Layered Stickers, ChipBoard and other Designer Papers. Part of the Paper Crane Collection by PhotoPlay Paper. Note: Look for my 'Value Pack' Available.